Hey, everybody, it’s time for the January 2013 edition of Insecure Writers’ Support Group. At least this time I don’t need to feel insecure about missing the date – I actually got the moment of ‘Did I forget’ yesterday, just as I was posting yesterday’s blog about 2013 goals. Then I remembered that it was only Tuesday, and set an extra reminder to do IWSG today. But I definitely have something to feel insecure about, because I’m facing the prospect of choosing samples of my work to compete with other sci-fi and fantasy writers from across the continent and around the world, to represent the best I can accomplish and my hopes for a rare opportunity to learn from extremely talented published writers and editors. Yeah. Once again, I’m applying to summer writing workshops. Each of them calls for something different in terms of a writing sample – Clarion asks for two stories, Odyssey for no more than 4000 words, Clarion West for 20 to 30 pages. CSSF Novels wants the first 5-10 pages and a synopsis. So I’ve been trying to come up with material for all of them. I started the sample pages for ‘The Gnomes are Missing’ in the last week of Nanowrimo, and I’ve been sharing snippets of them on Sundays ever since. During December, I started a new short, “Time Bubble Trap”, that will hopefully be my sample for Odyssey and half of my sample for Clarion. I’ve also been working on a new draft of “The Storm Mirror” for Clarion and Clarion West – the problem is, at the moment it’s too long, still around 8000 words and Clarion doesn’t want any stories over 6500. I don’t know if any of this writing is going to be good enough to get me into exclusive programs like these, but I do feel secure enough in my dreams to keep trying and see. This summer is one opportunity that I won’t be able to take if I hesitate and miss the applications deadlines – though if I don’t make it this time, there’s always 2014. Hi there, fellow insecure writers. Sorry I didn’t post for IWSG last month, I lost track with the Campaigner Spotlight, Rule of Three, Six Sentence Sunday, and a few other things. So, it’s Nano – which can be a crazy, but also very encouraging time to be a writer, because most of the participants have been through this stunt of trying to write a book in 50 days and know how daunting it can be. I want to share an idea that my ML, Gale, presented at the Hamilton Kick-off party this past Sunday. It’s something that may work if you’ve got a writer’s support group that meets up regularly, or that we could adapt to cyberspace somehow. Everybody wrote a somewhat generic but encouraging message on a little slip of paper and rolled up the paper. 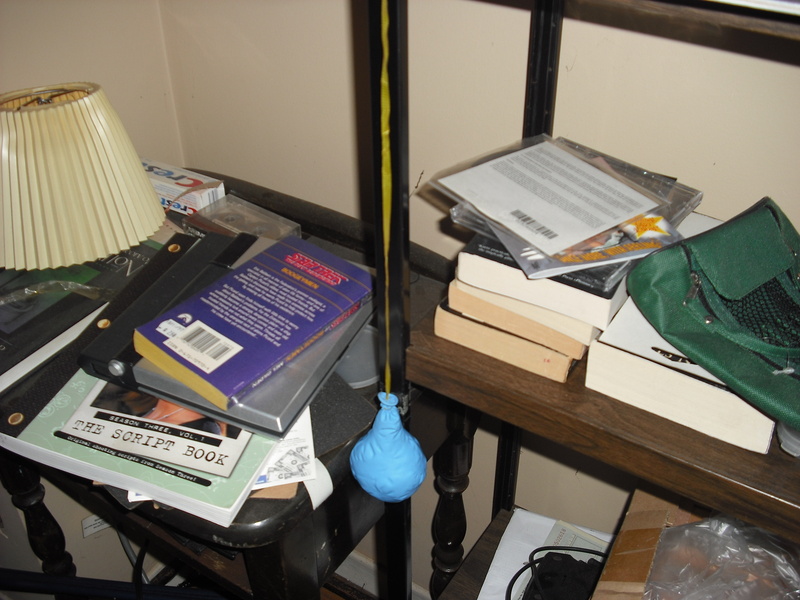 Then, the paper was inserted into a colored balloon, and the balloon blown up. We tossed around the balloons for a little while until they were shuffled thoroughly, and then everybody took a balloon, (of a different color than the one their message was in,) and took it home. The idea is that you pop the balloon and get the message when you most need that little jolt of encouragement from a fellow writer. I guess there must have been a pinhole leak. But inspiration doesn’t leak out through holes – there’s still inspiration in that balloon, even if there isn’t air any more! You can tell this story. It is the destiny that you were born for.